Okay…I’ll admit it. I have a favorite type of food. My favorite type of food is homey. It’s comfort. It’s not pretentious. A dream of mine is to travel to Italy and study the food. The wine. But just one region. I don’t know…Tuscany…or maybe Florence…Sicily? I haven’t decided yet. Each has their perks. Why just one region you might ask? Well, think of the United States. We have different regions that consume different types of food. Down here in the Southern states we eat heavier items such as fried chicken and macaroni and cheese. Up in the Northern areas you have pizza and Philly cheesesteaks. You can’t forget about chili and tacos as you head out West. I mean, you very rarely walk into a restaurant that has all of these options available to you. So why should you walk into an Italian restaurant expecting items from each region? You shouldn’t. The climate dictates the food. And as it should. I want to take this knowledge and open up my own little Italian place. Great food. Great wine. What’s not to love? The only problem is that I have to choose. But I don’t have to choose now. Today, I can make whatever I want. 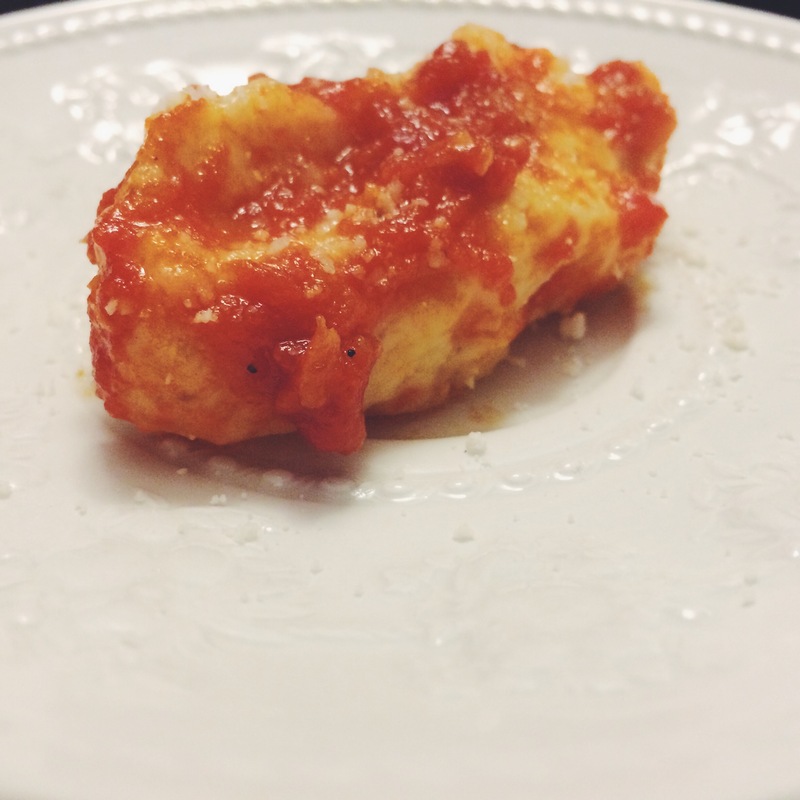 Today, I will make Ricotta Gnudi or as I like to call them…Delicious, Cheesy Pillows. THE METHOD. We are basically making a very light dumpling. It’s easy to throw together, but takes a little bit of trial and error. 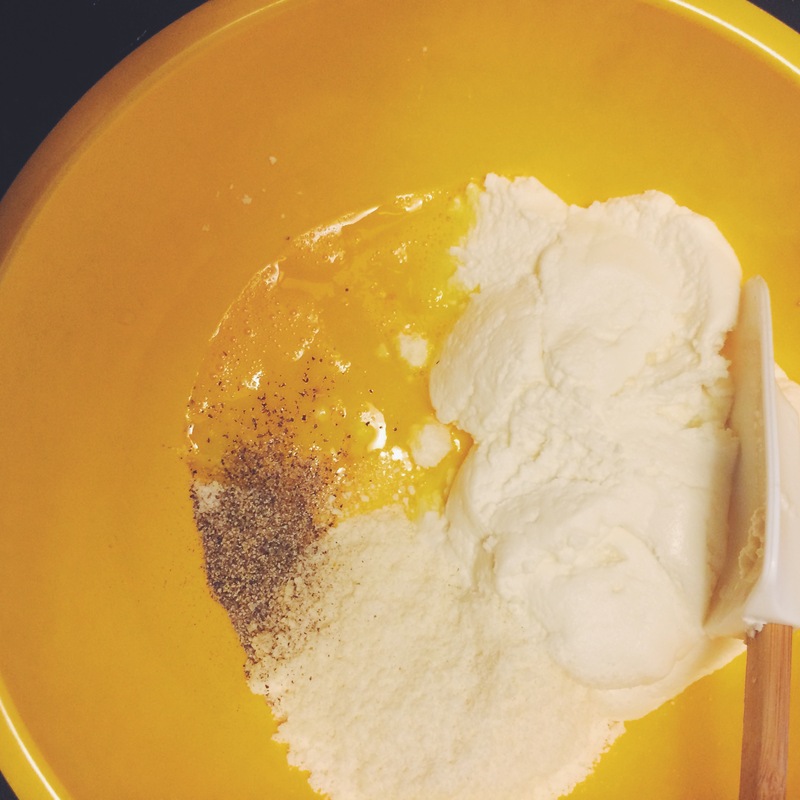 Place the ricotta, Parmesan, whole egg, egg yolk, salt and pepper in a bowl. Stir until everything is combined. 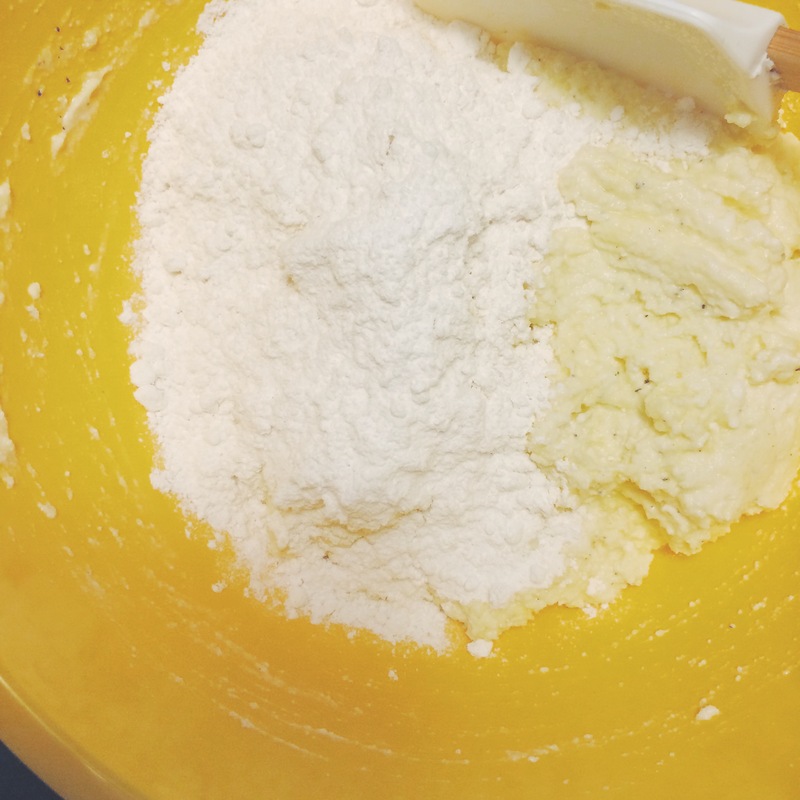 Fold in the ½ cup of flour. The dough will probably be pretty wet at this point. 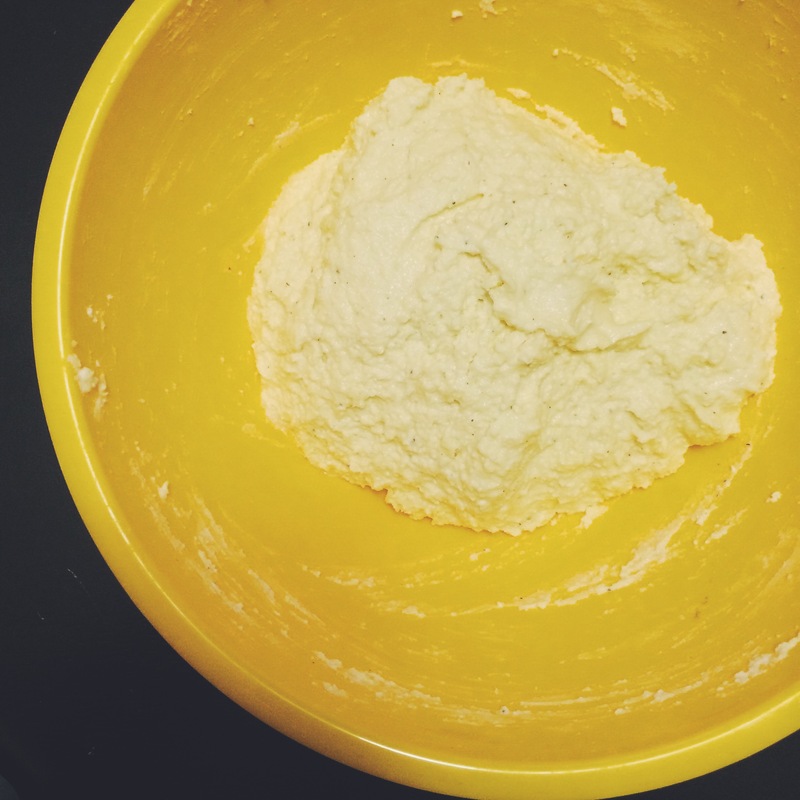 Add more flour a little bit at a time (say a tablespoon at a time) until the dough is soft, but not wet looking. It will sort of form a ball. This step is why I said it’s trial and error. Until you make them once, you won’t really know what works and what doesn’t. To make this easier, have a pot of boiling water on the stove. Make a dumpling and cook it. Taste it. If it works, then make the rest. If it doesn’t (taste wise or consistency wise, fix it and repeat). 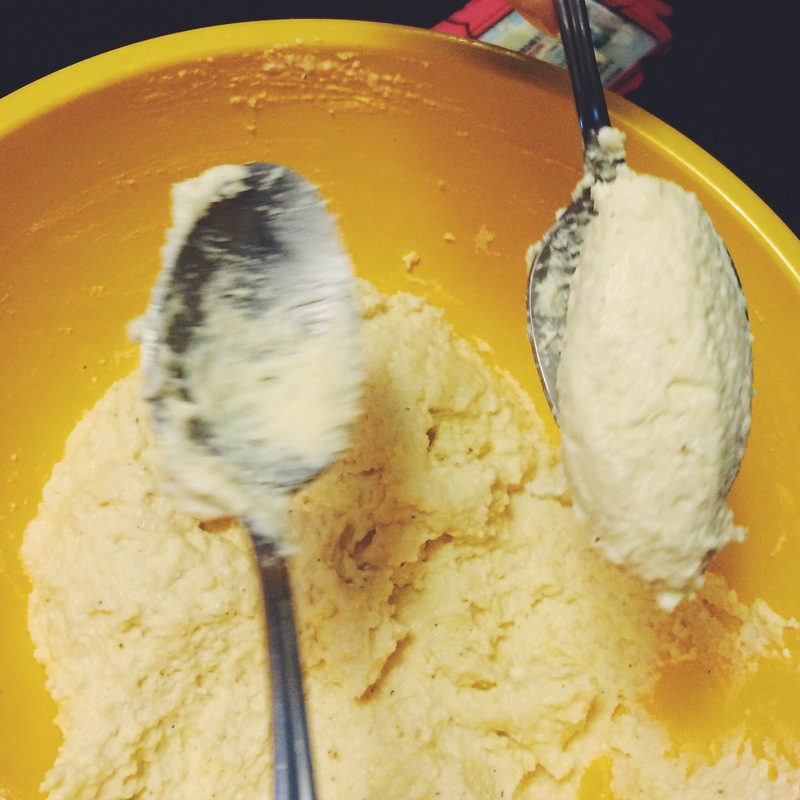 To make the gnudi, you’ll need two large spoons. 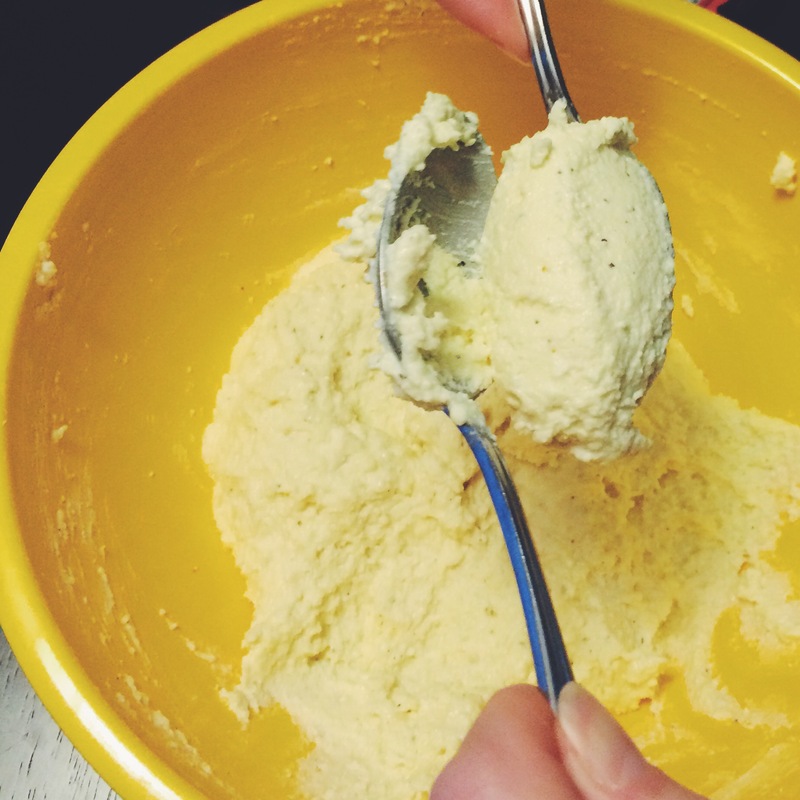 We’ll be making “quenelles” or oval, football-shaped dumplings. 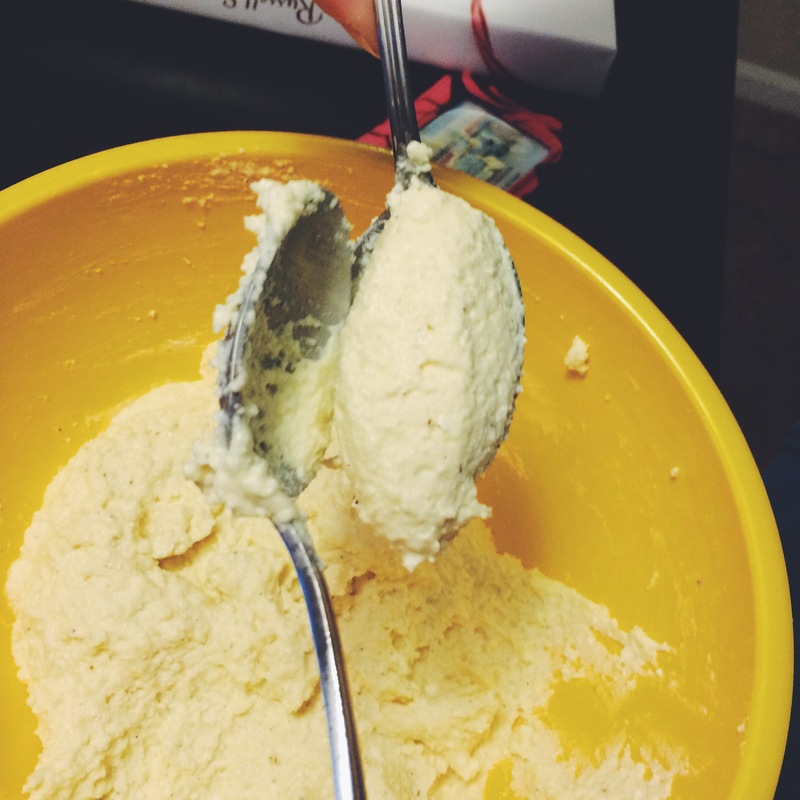 You use the two spoons to mold the dough in the shape. Very difficult to explain via text so look at the pictures. 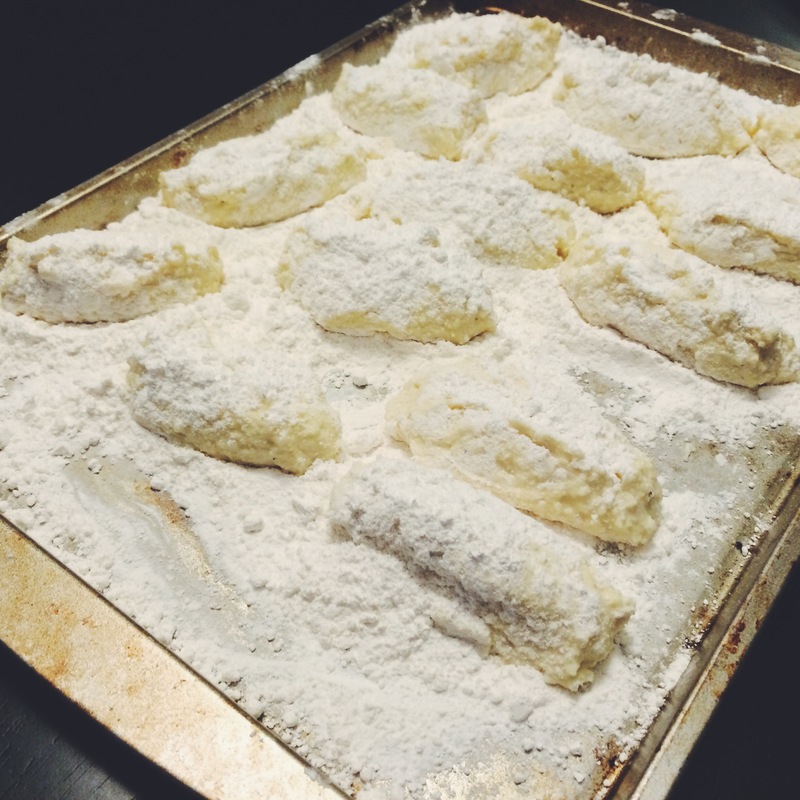 As you form the quenelles, place them on a floured baking sheet. To cook, place the dumplings in the boiling water. They will float to the top pretty soon after you add them, but they aren’t done cooking yet. Allow the dumplings to cook for 5-6 minutes. Strain them and toss with your favorite sauce…tomato…brown butter and sage…it’s your choice! ENJOY IT. This is a dish that you might not get right the first time. Maybe the gnudi are too dense or perhaps they disintegrated while you cooked them. Most foods are trial and error. Very rarely does a dish turn out fantastic the first time you make it. But don’t give up because there is nothing like the feeling of finally nailing a recipe that you’ve been struggling with for awhile. 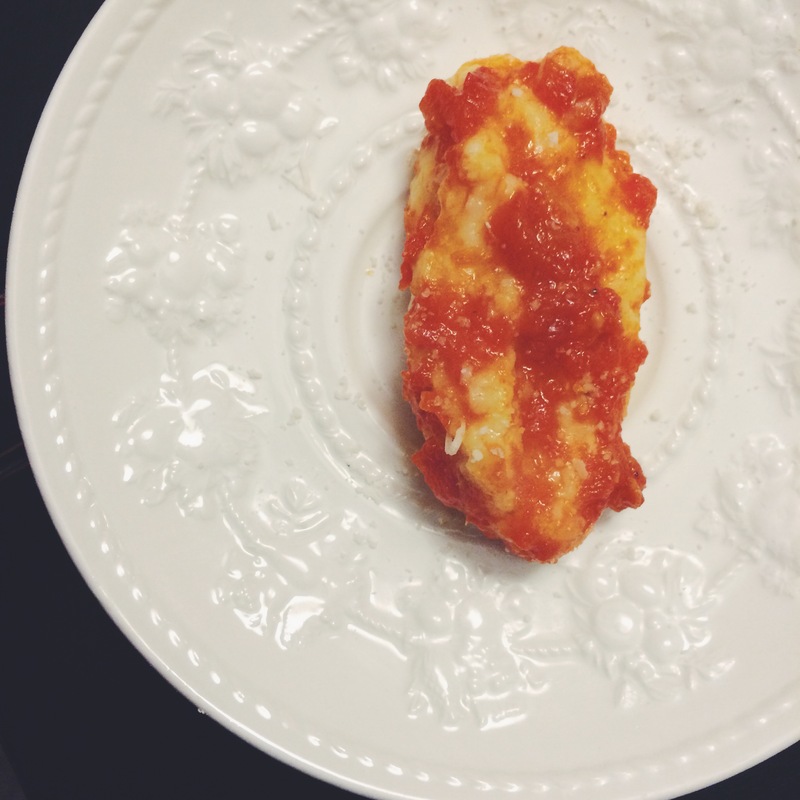 If you do nail it the first time, eat a gnudi and do a happy dance. 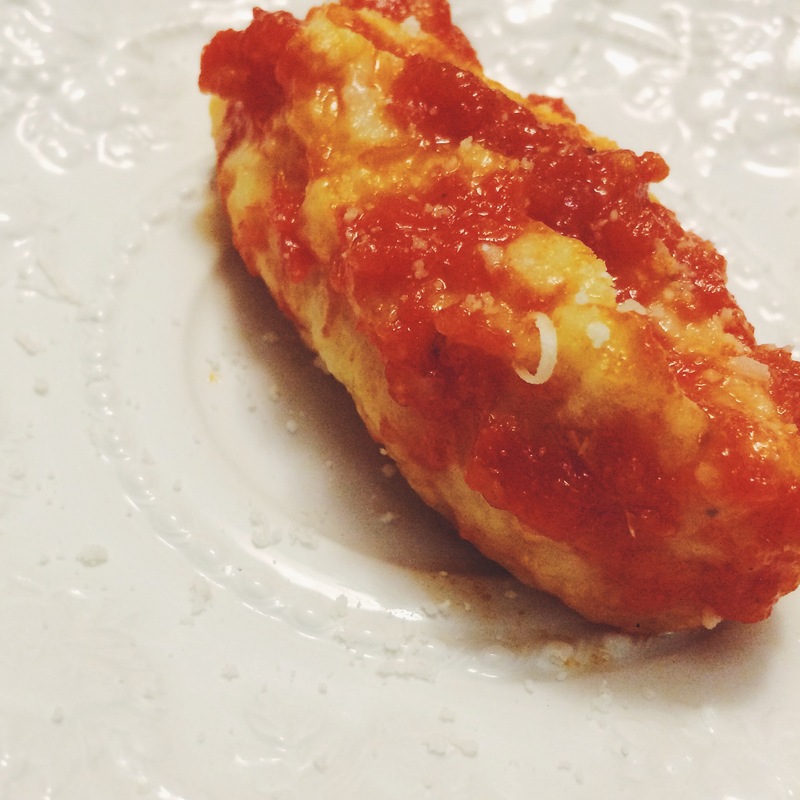 This entry was posted in Pasta and tagged Dumplings, Ricotta Gnudi, Tomato Sauce by Kelley. Bookmark the permalink.